You’ll probably have to work. Don’t we all. It stinks, but nothing we can do really. Your friends might arrange a party. Or you yourself will be put in charge of one. Maybe your school will make you wear a white beard and big red fat suit again. Please no! Worried you won’t be able to give or receive holiday gifts? Do you love surprises? Or making someone’s day? We have just the thing for you! It’s the most wonderful time of the year and China’s very own Online Secret Santa Gift Exchange returns to Wechat for its second annual run~ Wanna join us? 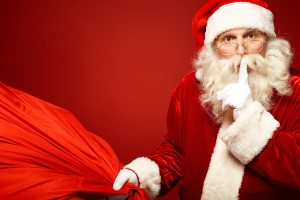 Secret Santa is most commonly done all over the United States, Canada, Australia, and the United Kingdom. In Ireland, however, the ritual is called Kris Kindle or Kris Kringel, derived from “Christkindl” – the original name of the Austrian gift bringer. When visiting continental Europe we find that Germans prefer the verb Wichteln, whilst Belgium and Holland speak of lootjes trekkenor namen trekken. Finally, we have the Philippines where we find Monito Monita; a unique gift-exchanging tradition. How about China? We have hongbaos! Which we would gladly accept at any time. 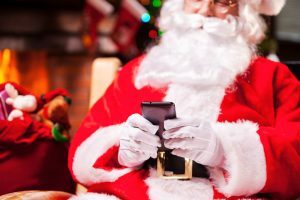 How will we do Secret Santa on Wechat? Don’t worry, it’s free to join in just 3 easy steps! And you get to choose how much money to spend on the gift you send… no minimum or maximum. 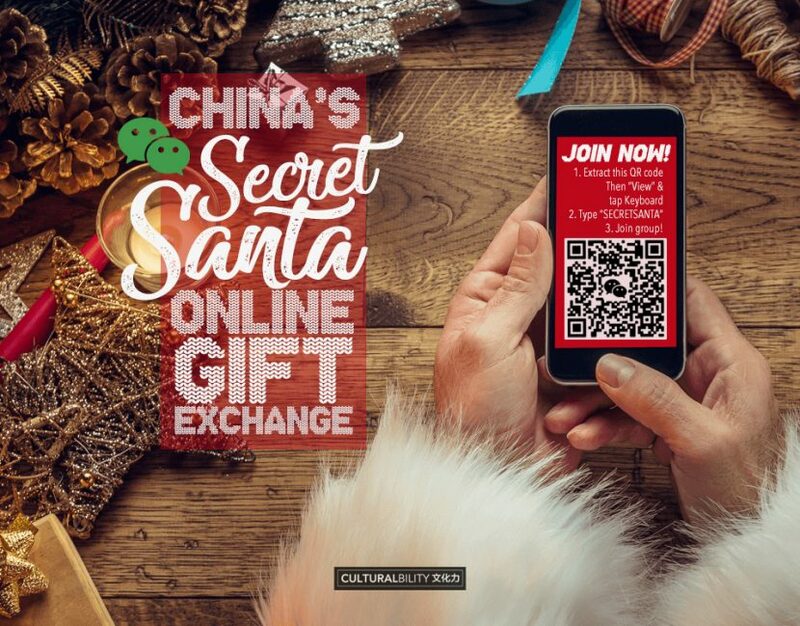 Follow our Wechat account by extracting the QR code, go to “View” then open the keyboard and type in “secretsanta” or “神秘圣诞老人” or even this jovial Santa emoji “” to join one of our automatic Wechat Groups… and don’t forgot to share it with your friends, too! 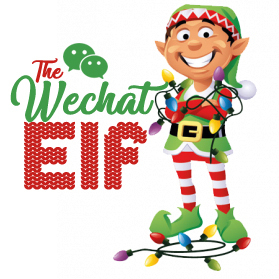 Add our little Wechat Elf from that group and fill out the Super Secret Registration Form online with all of your contact info, hobbies, favorites, likes, etc, before the end of the day on November 30 (!!! )… Be as detailed as possible, of course! Seriously, your Secret Santa thanks you. Our Online Secret Santa Gift Exchange brings China together by pairing willing members of the Culturalbility community together with others around the country to exchange sweet gifts. In doing so, we all help bring a little joy to one another for the holiday season. Is it like a ‘White Elephant’ gift exchange? NO. White Elephant gift exchanges (aka Yankee Swap or Dirty Santa) are where you try to find the worst most awkward gift to give each other and then in turn try to steal the best one from other people in the group. It’s an entirely different ball game. This is Secret Santa where your gift should be thoughtful, practical, creative, or useful and the person you send it to will cherish it forever. During the first week of December, you will receive a Wechat message from one of our elves notifying you that you have a match and sending them your super secret profile. There is no set amount required. Many of us choose to home make gifts, while other choose to go all out. It’s not the size of the gifts that matter, but the thought put behind them that makes Secret Santa awesome. What happens if I sign up, but I don’t get a gift? This really stinks, but it’s possible. We hope that everyone who enters is serious about exchanging gifts, but we cannot guarantee that you will receive one. If you don’t receive a gift, contact our Wechat Elf “dk-culturalbility” and we’ll try to get you in the backup gifters program. Please remember that giving a gift can be just as fun as getting one! How do I know what to send/how do they know what to get me? It’s a good idea to fill out our Super Secret Registration Form with as much detail as possible! Your answers are what we will be sending to your match so they can pick out or make your truly amazing gift. If you receive a match with few details, it’s time to get creative! When do I have to ship a gift by? 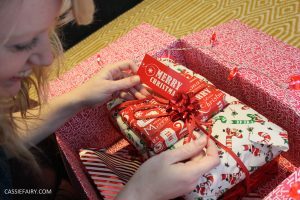 When your match is sent to you you’ll be given a deadline to ship by (most likely Dec. 20), because ideally your gift should arrive before Christmas on December 25, it is then up to the other Santa you gifted whether they wait until Christmas Day to open it. What happens after I send my gift? When you have your gift shipped off, take a photo of the package and send to our Wechat Elf “dk-culturalbility”… Great job adding some cheer to our community and country! What if I don’t get a gift by the deadline? If you still have not gotten a gift after the deadline to receive has passed, please send a message to our Wechat Elf “dk-culturalbility” to let him know so he can blacklist the user that was assigned to gift you and add your name to the list of peeps needing a backup gift. How do I get a backup gift? Once the deadline to receive gifts has passed, if you have not gotten a gift please send a message to our Wechat Elf “dk-culturalbility”… In order to qualify for a backup gifter you must message him within 7 days of the gift deadline passing. Actual gift received last year… awesome! Can I apply to be a backup gifter? Yes! That’s the spirit! If you REALLY love giving gifts, mark on your registration form that you’d be willing to send another gift if someone happens to not receive one. We’d be very grateful! Ask us anything you want right here, our Wechat is always on… Happy Holidays! See you in the Secret Santa groups!